What is a Bachelor of Arts in physics? This degree program is tailored to students who want a broad education, and it’s excellent preparation for middle and high school physics teachers, pre-med and pre-law students, as well as those wishing to pursue a technical career in industry. With fewer required courses than the B.S., students pursing the B.A. have time to explore other academic interests. 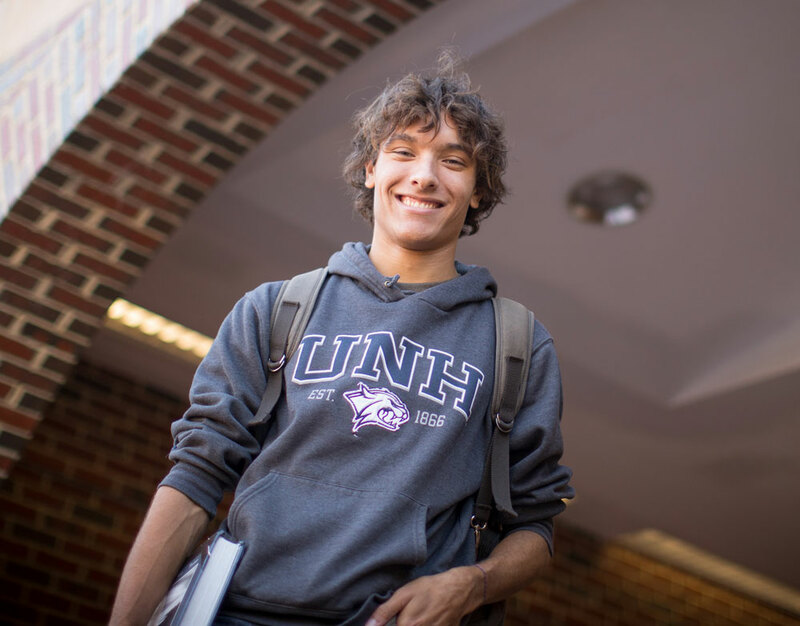 Why study physics at UNH? The program offers introductory physics in a lecture and studio format – an active learning environment that includes group work and labs all in a single room with a professor and graduate teaching assistants. This style allows for a coherent, connected and supportive experience. One studio course integrates the study of calculus and physics, for a deeper understanding of both subjects. You’ll have many opportunities to conduct research with physics faculty and other scientists, working on projects funded by NASA, the National Science Foundation, the Department of Education, Department of Defense, National Institutes of Health and other agencies and organizations. You’ll learn how to approach, analyze and solve complex problems as you develop new technologies, methods and theories that will prepare you for a range of careers in research, engineering and education. This program provides an opportunity for a broad and liberal education, which in some cases may be sufficient for graduate work. This program can also be excellent preparation for middle and high school physics teachers, pre-med and pre-law students, and those wishing to pursue a technical career in industry. Because there are fewer required courses than for a B.S., you have time to pursue other academic interests. A judicious choice of electives may also prepare students for interdisciplinary programs that require proficiency in a specialized area of physics. In the following table, "electives" include Discovery courses, writing-intensive courses, language courses required for the B.A., and free-choice electives. Note that no physics course can satisfy these requirement for a physics major. The rationale behind this is that a course in physics does not broaden the education of a physics major. A capstone experience is required of all physics majors during their senior year. The Physics Department encourages students to write a senior thesis (PHYS 799 Thesis) for their capstone experience. Other options include independent study research projects (PHYS 795 Independent Study or INCO 590 Student Research Experience) or a special project as part of senior lab (PHYS 705 Experimental Physics II). All capstone experiences must be approved by the undergraduate committee during the student's penultimate semester. Note that MATH 425 Calculus I, MATH 426 Calculus II, and MATH 525 Linearity I, MATH 526 Linearity II or MATH 527 Differential Equations with Linear Algebra, MATH 528 Multidimensional Calculus are prerequisites for some of the courses. The following gives a suggested schedule for a student obtaining a B.A. in Physics. Please note that Physics courses numbered 500 and higher are offered only once a year, and elective courses (numbered above 706) are typically offered only every other year. Only 400 level physics courses are offered in the summer (and even these are not guaranteed to be offered at that time.) Also, most courses above 600 have several physics and mathematics prerequisites. All this means that the schedule given below is somewhat rigid (although Physics 508, 701 and 703 can be taken in any order in the last two years). If you feel you need to deviate from this schedule for any reason, it is best to do so in consultation with your Physics advisor. 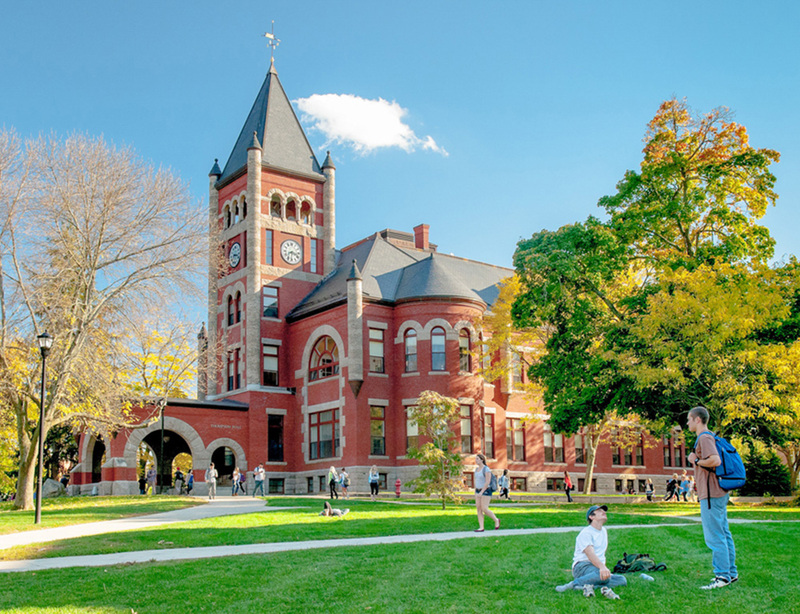 Note that many courses are both general education courses and writing intensive, so you can fulfill these requirements with as few as eight courses. The remaining electives can be used to pursue other academic interests.